Polish people love Kielbasa, and it makes them really happy to eat it. Happy like the three dancing Kielbasas shown on this T-Shirt. 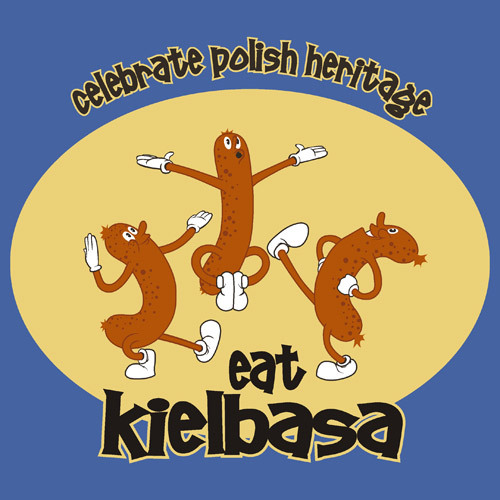 Go ahead, don't be afraid, celebrate polish heritage by buying our "Eat Kielbasa" t-shirt.